Tucked away in a tranquil area of Northumberland ‘The Laverock’ is the ideal place to relax and explore the fantastic coast, castles and wildlife. Originally built as a terrace of single storey labourers cottages, Skylark, Swallow and Woodpecker Cottages have been lovingly restored to create a fantastic place for your holiday. 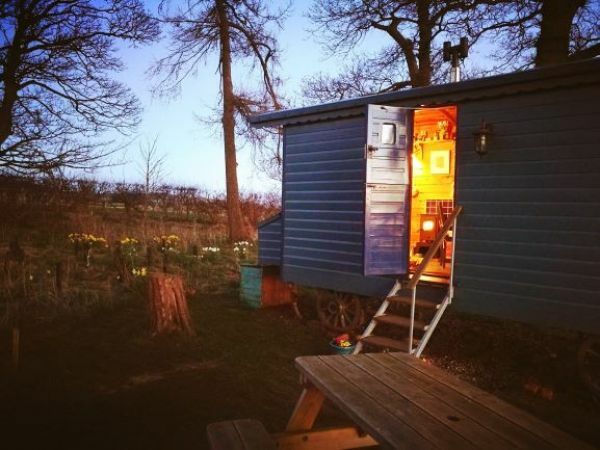 For Romantic breaks we also have our unique and beautifully handcrafted Shepherds hut which sits in its own peaceful woodland with stunning views towards the cheviot hills with their beautiful sunsets. We are really proud of what we have created at Laverock Law and the holiday memories that our guests build when they are staying here with us. The cottages all of which sleep five have many original features, woodburning stoves, beautiful furniture, cottage gardens and most importantly we have tried to include everything that you need to have a great holiday including starting your holiday with a homemade cake when you arrive. 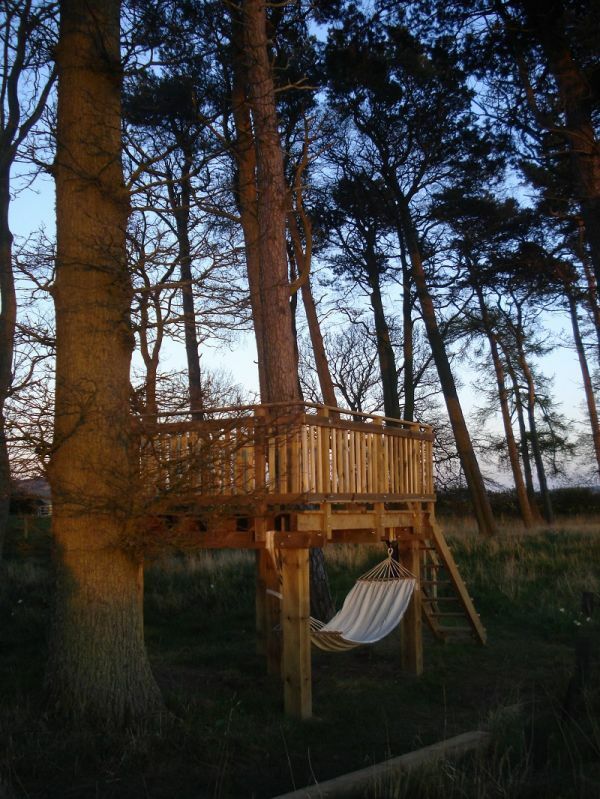 Outside their is plenty of space too, a tree platform where you can enjoy a glass of prosecco listening to the abundant bird song, watch the sun go down and then gaze into the wonderful dark skies. 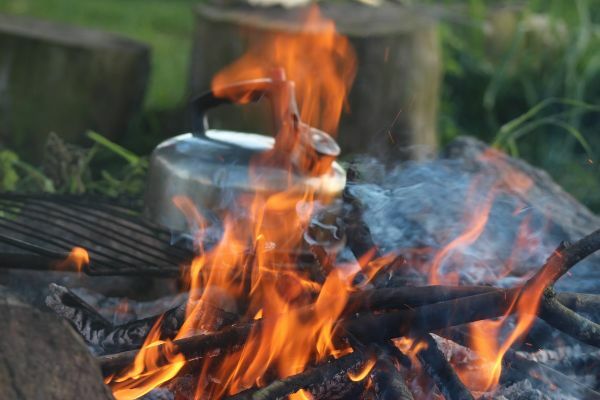 Or perhaps you would enjoy sitting by the campfire, toasting marshmallows and sharing stories of great days out with your friends and family. For children their is space away from the cottages for a game of cricket or football, a fantastic four seater go kart and lots of space for exploring and playing. Woodpecker Cottage is a stunning transformation from a traditional farm workers cottage into a luxurious 3 bedroom holiday cottage sleeping 5. Woodpecker Cottage has been designed to give you the holiday that you deserve which features an open, spacious living area to enjoy. 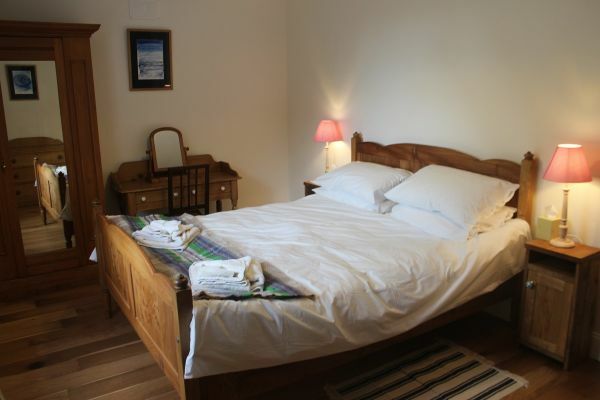 There are three bedrooms which are furnished with beautiful original pine furniture . Woodpecker Cottage offers the perfect setting for families, couples and groups of friends to stay and can be booked with the adjacent Skylark cottage with which it shares a suntrap courtyard setting. Watch and listen to the wildlife and beautiful birdsong either from the cottage window, your own cottage garden or whilst sitting among the trees on our unique tree platform. Enjoy the open living space we have created with its woodburning stove and comfy sofas along with a well equipped kitchen and dining area that overlooks the suntrap courtyard at the front. 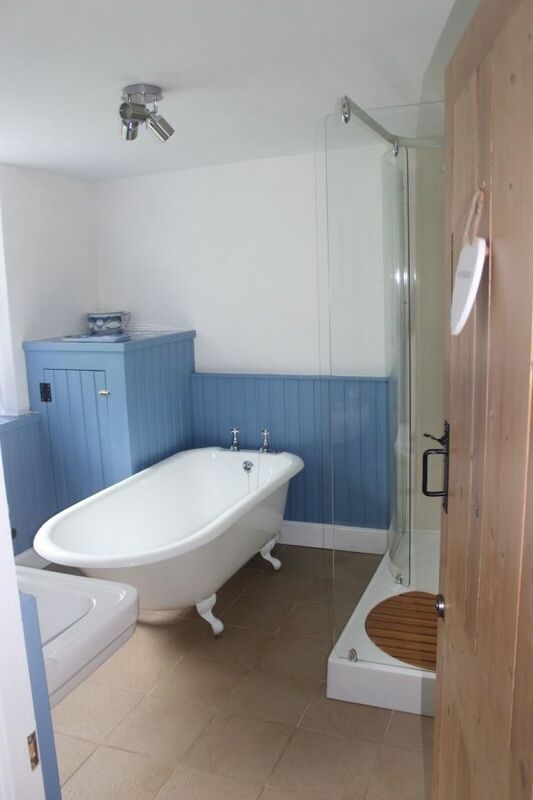 Indulge yourself relaxing in your roll top bath before stepping out onto a warm underfloor heated bathroom. Recharge your batteries whilst sleeping in beautiful bedrooms with organic bedding and luxurious down duvets Explore the amazing landscapes and attractions of North Northumberland including nearby Holy Island, Bamburgh, fantastic beaches and the rolling hills and valleys of the cheviots. The best in hospitality, homemade cakes with our own eggs, local food treats and a personal welcome for all our guests, we are also on site to ensure your holiday is the best, and can even serve you a locally sourced breakfast as that extra holiday treat. In our guests words;- ''Simply the best cottage we have stayed in." 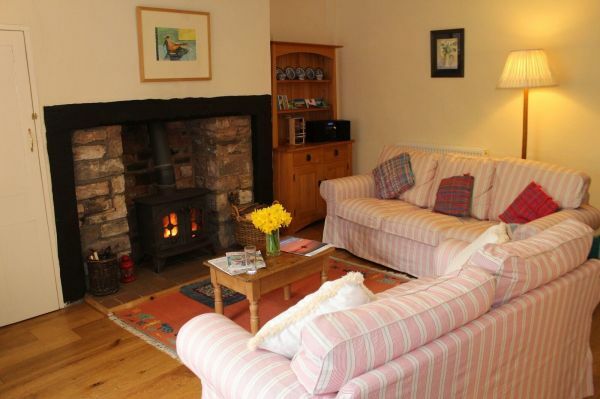 Swallow Cottage has a homely feel and provides flexible accommodation for up to five people. Situated at the end of a terrace of four, single-storey farm labourers’ cottages, Swallow Cottage has been renovated for ease and relaxation with an open, spacious living area to enjoy. There are three bedrooms which are furnished with beautiful wooden furniture and designed to be flexible for your needs. You will find that Swallow Cottage offers the perfect setting for families, couples and groups of friends to stay. Swallow cottage has wonderful views out of the kitchen window over open countryside, watch the barn owl sweeping over the fields, the deer grazing the field margins and the hares playing. South facing Master bedroom, which can be either a King size double or Twin beds, Double bedroom, One single bedroom (optional twin can be provided), A separate utility/drying room which hosts a second toilet, Beautiful, original wooden doors and furniture. Cozy wood burning stove for the end of the day. All on one level, with just a few shallow steps up to the front door. Private enclosed garden with a grass lawn and a seating area T.V, DVD player, Digital Radio etc provided for your entertainment. 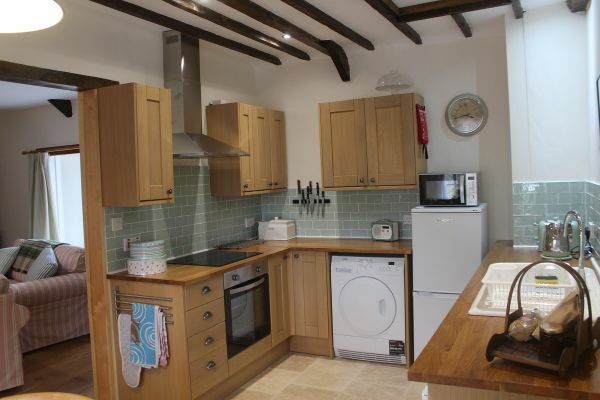 Fully equipped kitchen includes cooker, dishwasher, microwave, fridge-freezer, (stocked with local Doddingtons ice-cream). We can also provide you with fresh eggs, homemade bread and cakes during your stay if wanted, with the option of an in house breakfast served to the cottage. 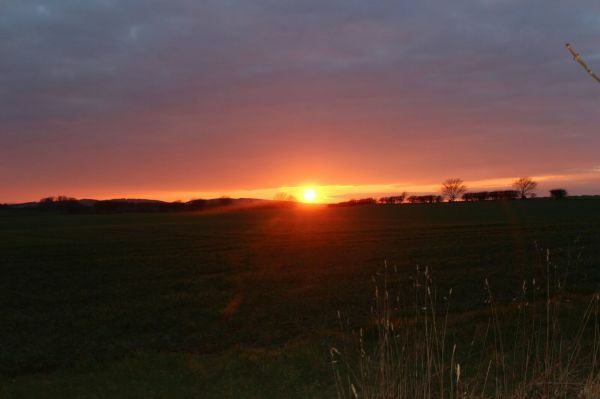 Equally, Skylark Cottage is the perfect secluded and tranquil place for a romantic getaway set deep in the heart of the Northumberland countryside with an opportunity to enjoy the North East’s moonlit starry nights together. A beautifully handcrafted Shepherds Hut made from local timbers and located in open woodland with stunning views of the Cheviot hills. The ‘Harvest Hut’ is the perfect quiet, cosy and romantic retreat. 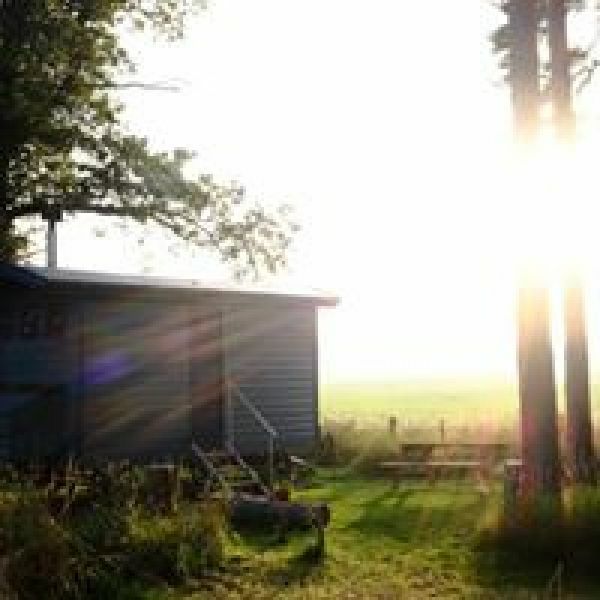 Wake up to nature surrounded by abundant birdsong, throw open the stable door and breathe in Northumberland. Start the day with breakfast made in the fully equipped kitchen, setting you up for the day exploring Northumberland’s hills, castles and coast. In the evening cosy up in front of the woodburning stove, enjoy a campfire outside or simply lie in bed and watch the sunset over Cheviot and the enormous dark skies above you fill with a myriad of stars and the soft glow of the milky way. Equipped for luxury the shepherds hut contains all you need for your stay, including down duvets and organic cotton bedding, and of course a lovely homemade cake on arrival. Cosy and warm, there is a lovely woodburning stove, handcrafted furniture and lots of nostalgia. 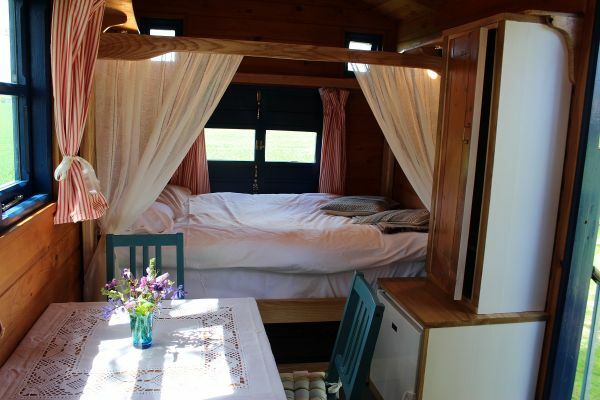 The hut has a full size double bed, seating, outside table and chairs and equipped kitchenette. To maximise space in the shepherds hut we have created a bathroom with the luxury of underfloor heating in our barn just a short walk from your door. We are situated about 5 miles from the A1 Fenwick Junction, (between the Bamburgh and Holy island junctions on the A1) From Fenwick head towards the village of Lowick (this road is also signposted Ford and Etal). When you reach Lowick turn left at the Village shop opposite the White Swan Inn. Proceed along this road for approximately 2 miles and take the second Left, an open fenced road between 2 fields (the first left is signposted Moorhouse only). After a further 0.6 mile and where the telephone wires turn, take the right hand turn which leads down between two wooded areas, laverock Law cottages are a further 400 metres on the right. 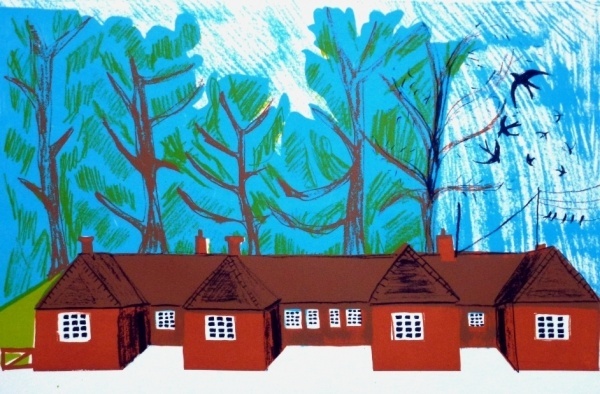 Our house is furthest from the road (curlew cottage). Our nearest Train Station is at Berwick Upon Tweed, if you are travelling by public transport we can arrange to collect you from the station and whilst you are here arrange bike hire for you if required.